A Happy Healthy Mummy: Lychee cocktail or bubbles Mum? Being a mum is often a thankless task. It's the backstage role, making sure all the props are in place so the star of the show can shine - waiting in the wings ready to prompt if lines are forgotten. Playing second (or third, or fourth...) fiddle to the leading lady or man - it's a mum thing! Not everyone gets it, but Notonthehighstreet.com does. Which is why it hosted a special event in the swish No 5 Cavendish Square with drinks, canapés and fancy frocks. There was also an inspirational 'olfactory adventure' from Odette Toilette, a hilarious stint by mum and comedienne Shappi Khorsandi - and the most tempting dressing up room (yes room, not box) stuffed full of girlie accessories from the Notonthehighstree.com curated suppliers. 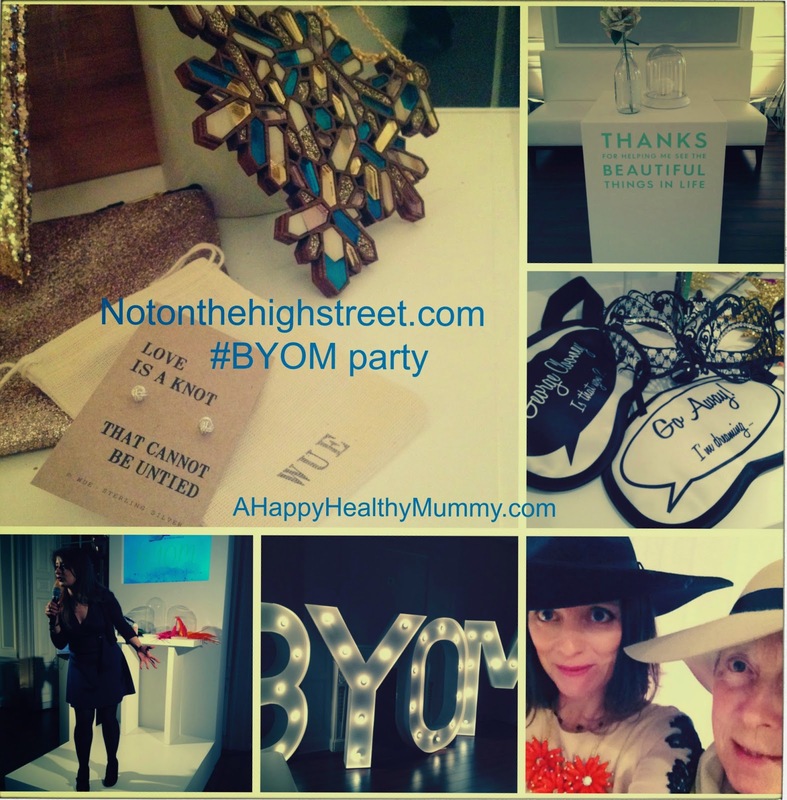 For at least one night, Notonthehighstreet.com showed us motherhood rocks. But for one day of the year mums have their very own Oscars. And head's up - it's THIS weekend!! So don't let you - or your mum miss out on all the awards fun - come Sunday live a life less ordinary and celebrate those that play the supporting role with a bright, brilliant and bespoke gift! To make her (or you, hint hint hubby!) dazzle like an a-lister on the red carpet there's some beautiful jewellery like this personalised Russian ring necklace, the silver double heart necklace or the rose gold leather wrap bracelet. 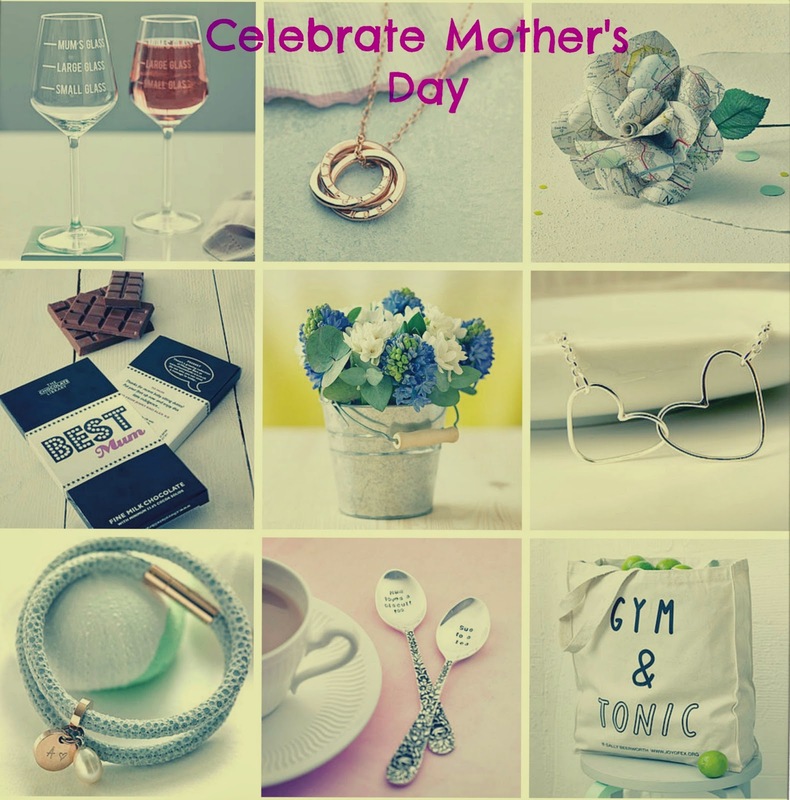 Or treat her to the Gym & Tonic tote, a personalised silver plated spoon or the cheeky Mum's Measure Wine Glass to show her how much you care. And you know sometimes, the old ones are the best, so there's always room for some flowers and chocolates - especially if they are as unique as the Map Rose, the personalised Best Mum Chocolate Bar or the Bucket of Spring Flowers. to bring a smile to her face. What are you waiting for get shopping!! Yes, lots of the NOTHS goodies were on display, and they were gorgeous - especially the statement necklaces. Thanks for the visit!